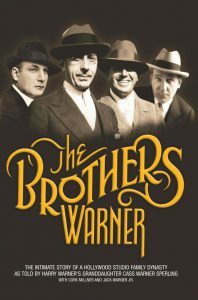 "The 'BROTHERS WARNER' is a well-made, fascinating documentary. Cass has not only honored her grandfather’s legacy with this work, she’s also paid homage to one of the guiding principles of the four Warner brothers who founded the studio by producing a film that will educate, entertain and enlighten audiences." Of the major studios, one was family. Harry, Albert, Sam, Jack – the Warner brothers – turned a storefront that used a sheet for a screen into a dream factory rooted in the credo of educate, entertain and enlighten. In this fascinating documentary, filmmaker (and Harry’s granddaughter) Cass Warner Sperling tells a story of sibling rivalry, social conscience and the silver screen.